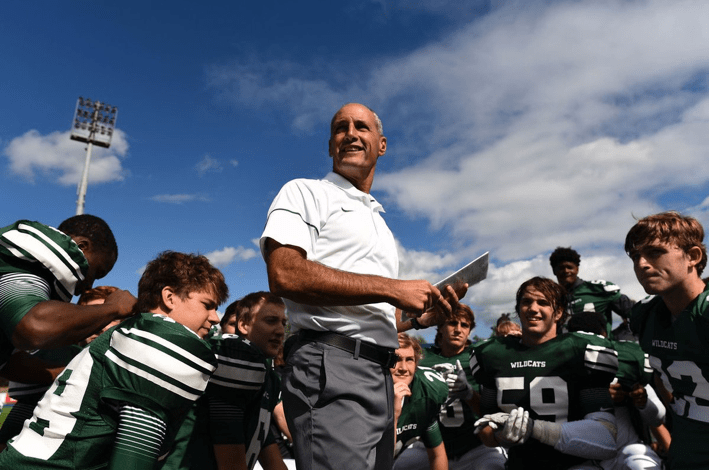 Longtime Westminster Head Coach, Gerry Romberg, notched his 200th career win with a victory over Towers in Week 5. He is just the 57th coach in Georgia High School football history to log 200 wins, putting him in the top 1.2% of coaches in Georgia history. Among active coaches, he ranks 9th in state history in total wins. He has coached 25 All-State players and won 7 region championships. Currently in his 27th season at Westminster, Romberg won his first state championship in 2015, defeating Blessed Trinity in a dramatic come from behind win. A defensive mastermind, Romberg has consistently put together top-level teams while also emphasizing the importance of character and integrity throughout his program.